Do I need a business license to start a dog bakery business? 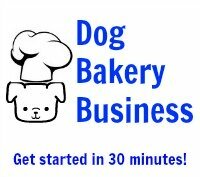 I have succeeded to start a dog bakery business out of my own kitchen and was wondering if I needed a business license to continue running & to also some day expand my business. Also I was wondering if I needed to have my kitchen certified since I am baking them out of my own kitchen. Your advice would be greatly appreciated. Thanks. If you are selling dog treats, you should get a business license and liability insurance to protect you. Baking from your home kitchen depends on your state law. Contact your department of health and your state Department of Agriculture. Many states do not require you to have a licensed kitchen for dog treats. However, they do have the right to inspect it and make sure it is sanitary and ingredients, equipment, etc. is kept separate from normal kitchen equipment. Again, all states are different but make sure you check first. Yes you need a IRS Tax ID number, state name registration, sale tax license, Department of Agriculture license and Cottage Food license to sell dog treats in the state of PA. You can not legally make dog treats from your kitchen and sell them. You have to have a different area and be inspected by PA Department of Agriculture. We get many inquiries about how to do it. If you are considering going this route, the first thing you must do is some basic research. Find other dog bakeries and go visit them. If there aren't any close by, that may be a good thing - you could be the first! 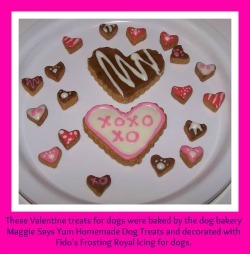 Many dog boutiques and pet supply stores are incorporating a dog bakery inside to sell either their own "homemade" delicacies, or to sell dog cakes and dog treats purchased from other dog bakeries and dog bakery supplies. The pet industry is growing, and more and more dog bakeries are starting. This was a business that was never heard of in the past! In fact, many people have never heard of a cake for a dog! Consider your clientele. Are you located in an upscale part of town? Higher income pet owners will not think twice about buying gourmet dog treats for their pets or for their friends and family who have pets. People who have been laid off or who are unemployed as happens in a recession will not be that interested in spending money on something they do not consider a necessity. They will be more likely to make their own dog treats. You will have to check out the requirements of your locale when you start a dog bakery business, because you will be selling food. Even though you are selling food items to pets, these are starting to become regulated. You will need to insure that you have the proper licensing and equipment if an inspection process is required. Certain states have their own food ingredient requirements. These requirements may also come into play if you are planning to ship baked goods, especially in certain countries. 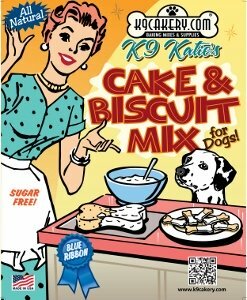 Business labels are an important asset if you plan to start a dog bakery business. Start-up businesses often don't have the capital to create fancy packaging and designs. And frequently, they are still testing logos and type fonts to find the best look and feel that characterizes their company and what it has to offer. To keep costs at a minimum, businesses will start out with labels on blank packaging until they are ready to invest money into more professional printed packages. Labels are also useful to place on boxes or packages that you ship to customers. You can print labels on your computer and in many cases, they work well, but if you could get professional labels at the same cost as your homemade labels (after you pay for the blank labels and the ink), wouldn't that be a better choice? This business logo is not an even square or rectangle shape, but this the shape that was desired. Be aware that label companies or a quick printing shop usually charge an extra plate or die charge for custom shapes and multiple colors.